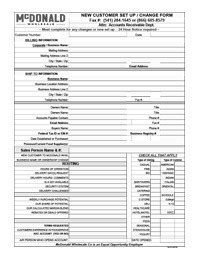 Please use these forms as needed and mail them back to Debby Means, Credit Manager, at dmeans@mcdonaldwhsl.com, or send them with your delivery driver. 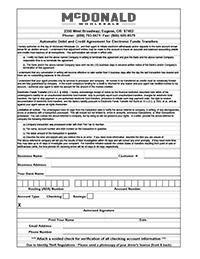 Use this form to authorize electronic payment from your checking account. If the contact person, address, or other information changes with your business, please let us know.